Students of all levels work with landscape pros to design and build a playground for the local community to enjoy. Contractors should prepare for a shortage of salt this coming winter. A photo collage of communities who participated in the 2018 Green Street Challenge in 2018 and a list of supporting sponsors. Landscape professionals collaborate with students to design the ideal outdoor environment. 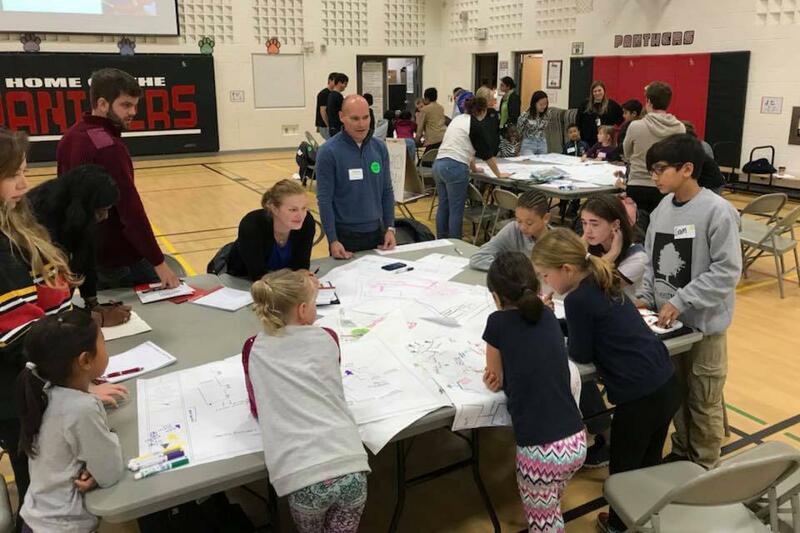 The Come Alive Outside Design Challenge creates the opportunity for teams of post-secondary, secondary and elementary students to work together with landscape professionals to design and build engaging outdoor learning environments at schools and childcare facilities. Not only does the program provide the end result of a place for young people to spend time immersed in nature in an urban area, it also helps to raise awareness and inspire young students at many levels on various career paths available in designing, building and maintaining landscapes, and natural environments that play a large role in the health of our cities and communities. Over the course of three days, students from landscape architecture, landscape design and horticulture programs from six colleges and universities will travel to Belleville, Ont. to participate in a collaborative design event with students and teachers at First Adventure Child Development Centre, together with elementary and high school students. The design must encourage the engagement of all five senses. The design must integrate the creative input of the students and teachers who will be using it. The design must provide a Certified Wildlife Habitat. The design must effectively manage and utilize rainwater. The initial phase of the design must be built on budget of $10,000. The initial design concepts are then presented to the school and broader community for further input and feedback, which will be used to inform the teams’ final design proposals. The design proposals for the outdoor learning environment will be voted upon by the school community, and judged by a panel of landscape professionals. The winning design will be featured at the Awards of Excellence ceremony in conjunction with Landscape Ontario’s Congress trade show on January 8, 2019. This fall, the Come Alive Outside Design Challenge will take place in Belleville, Ontario. Students from participating elementary and post-secondary schools are eager to attend. Come Alive Outside and Landscape Ontario would like to invite Landscape Ontario members to reach out to andy@comealiveoutside.com or lissa@landscapeontario.com if their company is interested in becoming involved in this year’s Design Challenge.